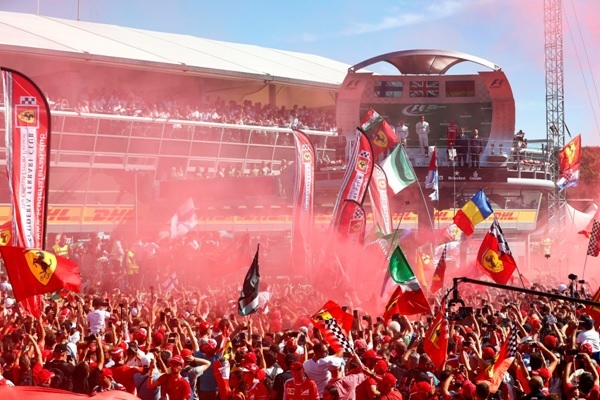 Ferrari’s loyal tifosi were rewarded for their passion with a podium finish from Sebastian Vettel at Sunday’s Italian Grand Prix, but it was a tough day on track for the boys in red, with both drivers complaining of handling issues at various points in the race. Both cars qualified out of position in Saturday’s rain-hit session, but a selection of penalties pushed both Vettel and teammate Raikkonen up the starting grid before the lights went out. It was Raikkonen who got the better start off the line, overhauling Valtteri Bottas for fourth place before the end of the first lap. But the Finnish pair duelled hard and clean, and by the time the leading cars had crossed the line to mark the beginning of the second lap it was Bottas who was ahead on track. By lap 5 it was Vettel who was ahead on track, having passed both his teammate and the Williams of Lance Stroll, and when Raikkonen pitted for fresh rubber at the end of lap 15 the stage was set for a battle between Vettel and Ricciardo. Raikkonen -- already complaining of damage at the rear which the team were unable to see on the data -- had to work his way back up from eleventh following his early stop, and in the process treated fans to a spectacular duel with the Force India of Esteban Ocon. On lap 40, Raikkonen ceded fourth place to the charging Ricciardo, who then had Vettel in his sights. Despite a selection of purple laps from the Red Bull racer, Vettel was able to hold onto third place till the chequered flag fell, gifting the attendant tifosi with the consolation prize of a podium finish. For the second weekend running, it was down to Daniel Ricciardo to save the day for Red Bull after more misery for Max Verstappen. Following contact with the Williams of Felipe Massa as the pair ran side by side into the first chicane during the opening laps of the Italian Grand Prix, Verstappen was forced to pit early with a puncture despite having made a fantastic start that saw the teenager running in eighth having lined up on the grid in P13. It was another downer on a lost weekend hampered by grid penalties for both drivers following changes to power unit components, and the Dutch ingenue spent most of Sunday afternoon limping around at the back of the pack. 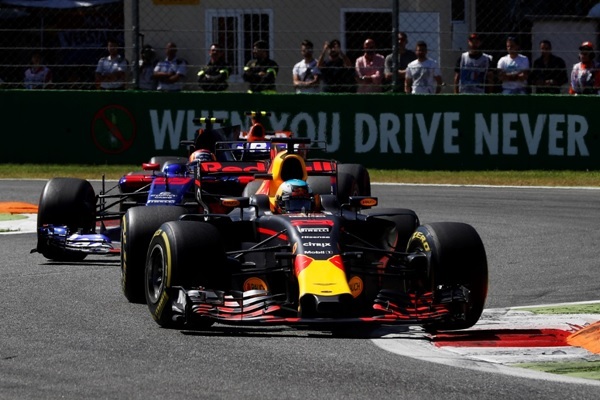 By lap 24, Verstappen had been lapped, and it was only when he passed Fernando Alonso for P15 on lap 34 that the Red Bull driver’s race kicked off in earnest. 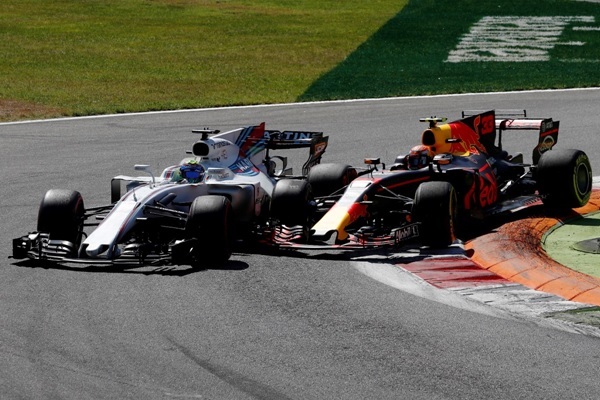 In contrast, Ricciardo was the man who kept the race alive in the closing stages, chasing down the Ferrari of Sebastian Vettel at an astounding rate. Despite setting a run of fastest laps, and going purple in almost every sector from lap 40 onwards, Ricciardo was not able to turn his stellar performance into a podium finish, instead crossing the line in fourth place, four seconds behind his former teammate. "We had a good racecar today," Ricciardo said after the race. 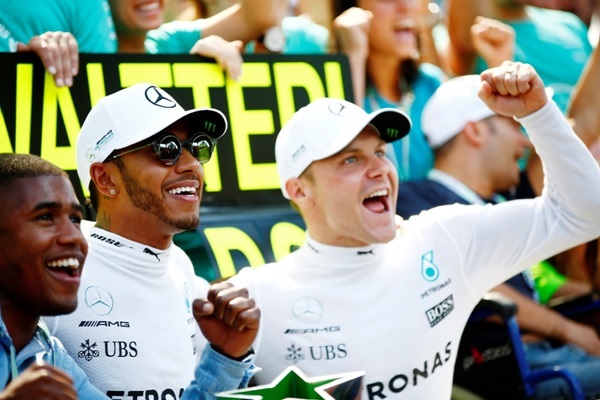 "Our strategy of running the soft tyre first really worked. To finish four seconds behind Sebastian after being 20 seconds down on the first lap is impressive. We were closing down the podium. We were catching Seb by a second a lap but then he was able to turn it up a bit and I was using all of my tyres. It was fun. Definitely had some really good overtakes. Hopefully we created some highlights for the year. "I'll give Kimi credit for racing clean and fair. But I'd have done the move on anyone to be honest. I was aware the deeper I got towards the front the harder overtakes would be. I had blinkers on for the move and happy to pull it off." A late charge from Verstappen -- coupled with retirements elsewhere in the field -- saw the Dutch racer cross the line in tenth place, salvaging a single point from a weekend where retirement may have felt preferable. Following his lights to flag win at the Autodromo Nazionale Monza, Mercedes’ Lewis Hamilton has ended the European leg of the 2017 F1 season leading the drivers’ championship for the first time since the season began in Melbourne’s Albert Park. “It’s obviously an incredibly exciting season and the last two races have been incredibly strong for us as a team,” Hamilton said in the post-race press conference. “We’ve gone from strength from strength and really shown real strength and depth and I think it’s the way we have come together in this second half so far is exceptional. It was a commanding performance from the Briton, who only ceded the lead in the immediate aftermath of his single pit stop. Teammate Valtteri Bottas led the pack until his own stop on the following lap, at which point Hamilton was back in control of the race for the duration. 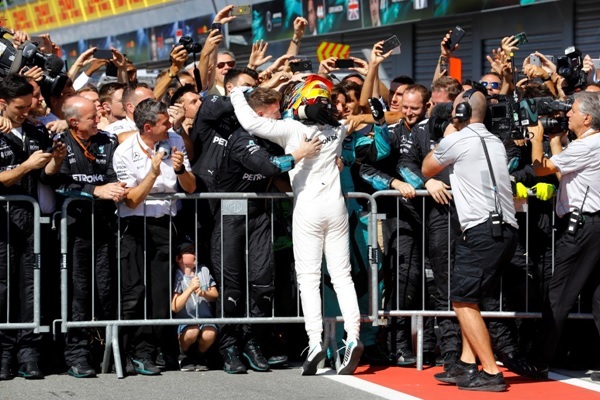 For the first time this season the Mercedes pair showed the sort of dominant race pace that was par for the course in the first three years of the V6 era, and that at a track where Ferrari were thought to have narrowed the gap to the front following a close-fought contest in Spa. While Singapore’s Marina Bay Street Circuit is expected to play to Ferrari’s strengths, Hamilton will be seeking to build on the momentum of the past two weekends, during which he became the first consecutive race winner of 2017.